Established in 1953, iF Design Awards are recognised as one of the most prestigious awards within the field of design. Every year iF honours excellent design in three disciplines: product, communication and packaging design. iF Product Design Awards went to the EOS 5D Mark III and EOS 100D digital SLR cameras, the PowerShot N compact digital camera, the LEGRIA mini camcorder, the PIXMA MG7150 / MG6450 / MG5550 inkjet printers, the i-SENSYS LBP7680Cx / 7110Cw colour laser printers, the WUX450 multimedia projector, and the LE-5W LED projector. The iF Communication Design Award went to the user interface for the EOS M compact-system camera (left). Canon won its first iF Product Design Award in 1989 for an office copying machine and, since that time, has been awarded for a wide range of products, including cameras, video camcorders and copying machines. This year marks Canon’s 20th consecutive year of winning iF Design Awards and brings the company’s cumulative award count to 90. Canon has unveiled the EOS 1200D – a new entry level digital single-lens reflex (DSLR) camera. Designed for first-time DSLR owners who want impressive results straight out of the box, the EOS 1200D will launch alongside an EOS Companion app for mobile devices. Compact and lightweight, the EOS 1200D can be carried with ease. The EOS 1200D captures images using an 18 megapixel APS-C CMOS sensor and Canon’s DIGIC 4 processor. A 9-point AF system features points spread right across the frame. With continuous shooting up to three frames per second can be captured. Shooting modes include Scene Intelligent Auto which selects the most appropriate combination of camera settings. The EOS 1200D also shoots Full HD video (1080p) and offers control of exposure, focus and sound levels. Video Snapshot mode records a series of short video clips and automatically joins them together in the camera for a summary movie of your occasion. Canon has expanded the EOS System with the launch of a new flash, the Macro Ring Lite MR-14EX II. Designed for specialist DSLR shooters who are passionate about macro photography, it provides incredible flexibility to light and shoot a diverse range of subjects and features a range of new updates including independent flash head operation, increased responsiveness and enhanced custom functions. Compatible with Canon’s complete range of EOS DSLRs, the Macro Ring Lite MR-14EX II offers photographers fully automatic E-TTL II flash metering to deliver accurate and consistent exposures. Improved focusing lamps utilise new high-brightness white LEDs, which offer better illumination than the predecessor product – making it easier to focus in low-light conditions. The left and right flash tubes can be controlled independently. The guide number is 14 (metres, ISO 100). Canon has announced a new manufacturing milestone, with the combined production of film and digital EOS interchangeable-lens cameras passing 70 million units. 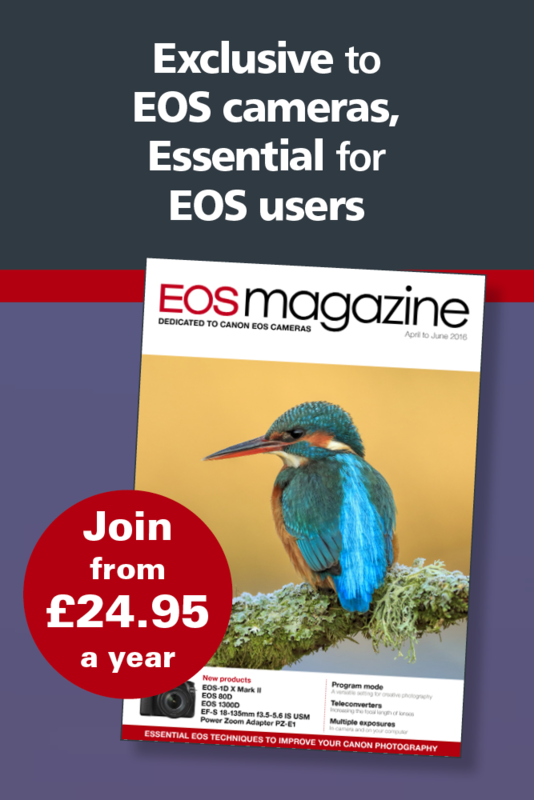 The EOS series was first introduced in 1987 and this latest manufacturing milestone marks the fastest-ever production period in EOS history – surpassing the 70 million unit mark just one year and four months after hitting 60 million units in October 2012. Canon USA is offering instant rebates uyntil 1 March 2014 on the EOS T5i / 700D and SL1 / 100D. Save up to $200 on various bundles. Canon will be attending The Photography Show 2014 with an aim to excite everybody with a passion for photography. With talks from special guests, access to Canon experts and a vast interactive display of innovative products, Canon is set to bring photography to life (Stand B10).